This work-in-progress constitutes part of an ongoing investigation into the correlation between sound and space at Studio Olafur Eliasson. 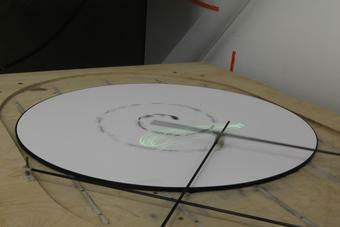 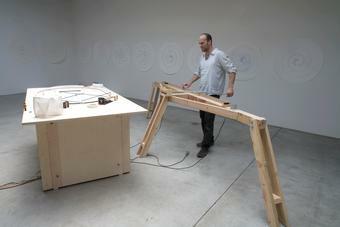 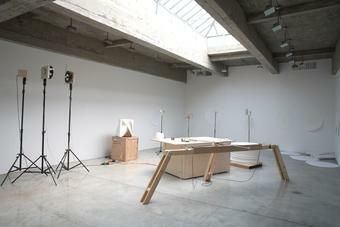 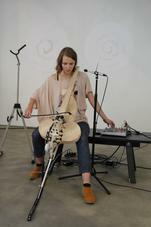 Visitors create two sounds from either side of a stringed instrument, which are dispersed to a drawing station, six resonators, and two mirrors with a laser. 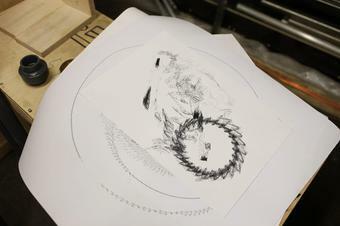 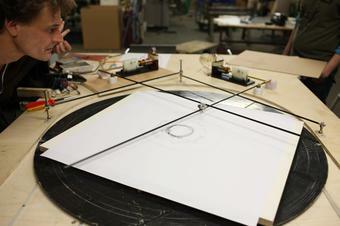 At the drawing station, the sounds make two rods oscillate, converging with a pen that inscribes their rhythmic movement on a rotating piece of paper in the form of a spiral. 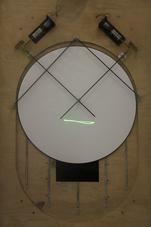 Concurrently, the sounds travel to the six resonators, which reverberate tones determined by their respective shapes. 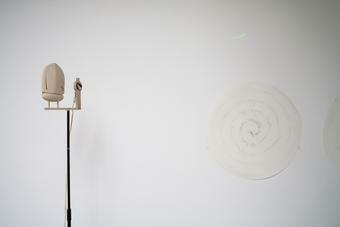 Lastly, two speakers are affixed with mirrors that vibrate either vertically or horizontally with the sound. 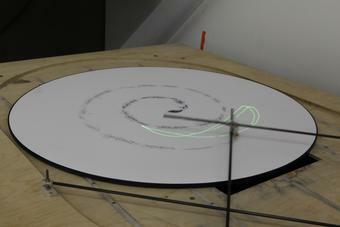 A laser bounces from one, creating horizontal vibration, then to the other, creating vertical vibration; their combined movement is projected onto the wall as a green laser drawing, tracing the same vibrations as recorded on the table.